At least 12 lecturers were detained as part of an investigation into the Gulen movement in Turkey’s southern province of Mersin, media said Thursday. 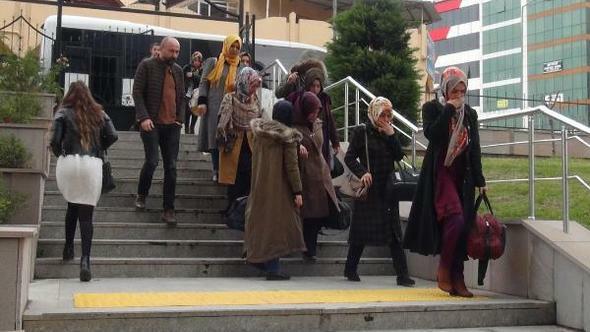 Detention warrants were issued for 18 women who were found to have taught at private schools and universities affiliated with the Gulen movement. Police carried out operations in several provinces and detained 12 of the suspects while the remaining were being sought at the time of this writing. Turkish government accuses the Gülen movement of masterminding a failed putsch on July 15, 2016, and considers it a terrorist organization. The movement denies involvement in the coup and rejects terror accusations. However, thousands of teachers as well as many from other professions have been already jailed over Gulen links.